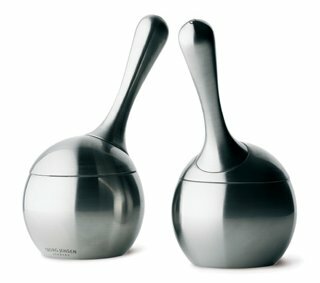 The Spirit Salt & Pepper Set by Karim Rashid. Available at Nambé. The Twist Salt & Pepper Mill designed by Philip Bro Ludvigsen. Spotted at Georg Jensen Living. 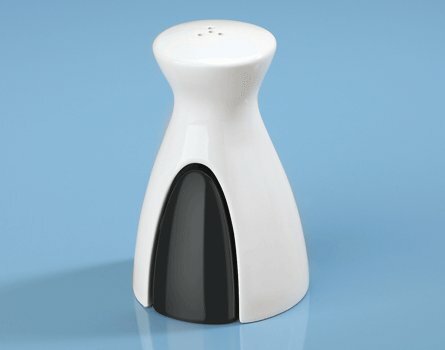 The Duo Salt & Pepper Set from Chiasso. 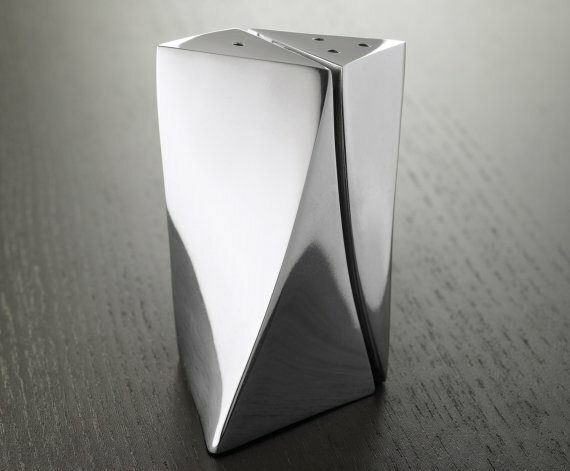 The Nook Salt & Pepper Shakers by Luciano Lorenzatti. Available from Umbra. 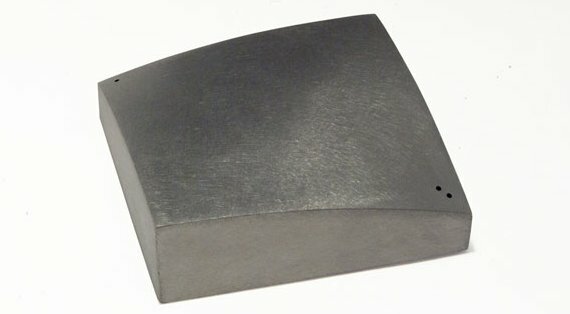 The Salt & Pepper in One, designed by Munire Kirmaci. 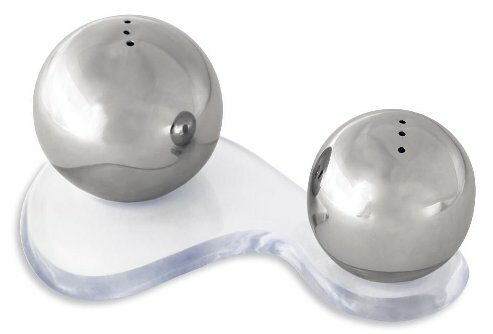 The Metalla Salt & Pepper Set designed by David Quan. 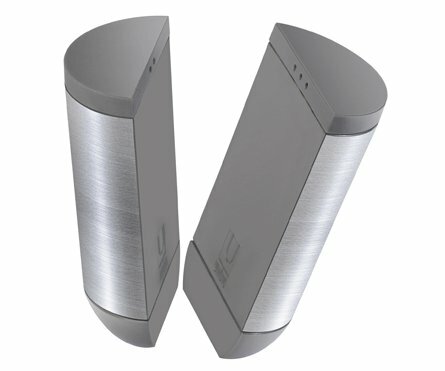 Available from Umbra.